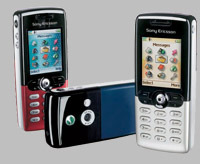 The T610 is an elegantly designed cell phone by Sony Ericsson. Despite its boxy appearance, its subtle curves make it a pleasure to hold. More importantly, its features are what really make it stand apart. It's one of very few cell-phones this small with tri-band GSM, bluetooth, a built in camera, java, and polyphonic ring tones.